from a wide variety of disciplines, including dose and risk assessment, onsite and offsite monitoring, data evaluation, process engineering, environmental transport modeling, database development and use, geographic information systems integrated with databases and assessment models, radiation biology, and interactive public involvement. We combine the scientific knowledge, technical expertise, and open communication required to understand and complete tasks in a competitive manner. Since RAC was formed in 1977, RAC team members have been integral members of and advisors to nationally and internationally recognized organizations including the National Academy of Sciences, the National Council on Radiation Protection and Measurements, the International Commission on Radiological Protection, the Atomic Energy Agency, the Environmental Protection Agency Science Advisory Board, and the United Nations Scientific Committee on the Effects of Atomic Radiation. John has more than 35 years of experience and is a leading international authority in the field of environmental risk assessment. He is the founder and driving force behind RAC. His passion and enthusiasm are evident in the qualifications of the scientists that he has attracted to his team and in the results RAC has produced. John expects excellence from himself and his team, encouraging them to take risks and “think outside the box.” In addition to being a prominent researcher, he is also a retired Rear Admiral in the U.S. Naval Reserve and a farmer of corn, soybeans, and long-leaf pine. Helen has more than 30 years of experience in radioecology, dose reconstruction, and the assessment of radioactive and non-radioactive hazardous wastes. 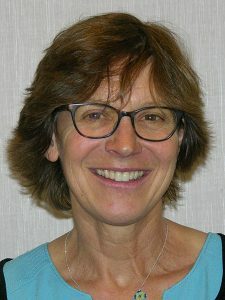 One of her interests is the validation of computer models developed to predict the fate and transport of radionuclides in the environment, and she authored a chapter on this topic in the 2008 textbook, Radiological Risk Assessment and Environmental Analysis. As a principal researcher for RAC, she manages the technical aspects of the group’s projects. Her expertise, scientific acumen, and level-headedness ensure that RAC maintains its position as a leading authority in risk analysis. 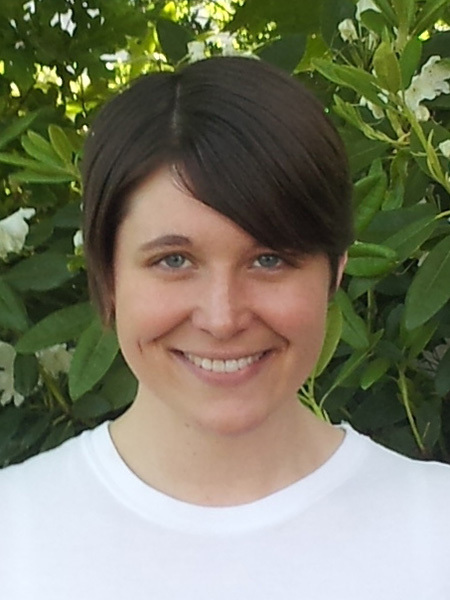 Jill has more than 15 years of experience in environmental risk assessment, with an emphasis on contaminant transport and modeling, uncertainty estimation and statistics, evaluation of environmental monitoring data, environmental database development, and exposure and risk assessment. She combines impressive technical skills with an efficient, no-nonsense approach and “can-do” attitude. Harold has more than 50 years of experience in radiation dosimetry, radiation metrology, and environmental radiation, and he is a leading authority on radiation dose reconstruction. After 36 years as a staff scientist, division director, and deputy laboratory director at the AEC/ERDA/DOE Health and Safety Laboratory/Environmental Measurements Laboratory, Harold retired from government service in 1999 and became an independent consultant. Although he keeps busy with consulting activities and serving on various advisory committees, he still manages to play in an occasional duplicate bridge tournament. Emily graduated in 2016 with her Ph.D. in Radiation Health Physics. Her research included environmental dose assessment and computational dosimetry methods. She is interested in statistical uncertainty analysis, data interpretation, risk assessment, and source term development. She has excellent analytical skills and is adept at presenting information to a wide range of audiences. 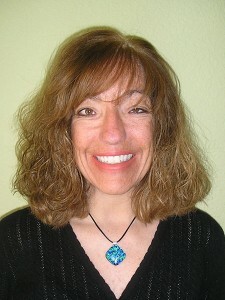 Cindy has more than 20 years of experience as a technical editor and writer. Her expertise and attention to detail ensure that RAC’s reports, articles, textbooks, and other written materials are as clear, concise, and consistent as possible. Cindy approaches every project with a positive attitude, and her kind manner is always appreciated. Sr. Systems Software Engineer, ddms, inc.
Ryan has more than 10 years of experience utilizing geographic information systems (GIS) in conjunction with other applications to analyze and solve a variety of complex challenges. He specializes in programming and developing spatially enabled web and desktop applications to process groundwater and contamination data. Ryan’s experience includes a vast knowledge of GIS-related data processing techniques, customized analytical methodologies, and application development for both spatial and non-spatial applications for desktop and web solutions. Ryan has focused his application development on building and managing web-based, GIS-enabled environmental database management systems and associated user interfaces. His web-based applications are currently being utilized to access and manage complex environmental data on more than 30 Superfund sites. George has more than 40 years of experience in mathematics and computer science. He specializes in developing innovative applications of mathematical and statistical methods to the environmental assessment of chemical and radiological pollutants. Developing and testing his models against real data is a key focus of his work that has contributed to a detailed understanding of the environmental behavior of such pollutants. We consider his skills second to none. 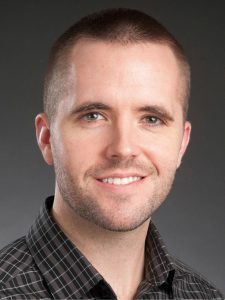 Colby is a certified health physicist with a diverse background in applied health physics and computational health physics. His Ph.D. research focused on Monte Carlo and deterministic computational dosimetry methods. Colby has held positions as a principal scientist at Knolls Atomic Power Laboratory and as Radiation Safety Officer at St. Jude Children’s Research Hospital. He is interested in contaminant transport and modeling, dose and risk assessment, and data analysis. Colby prides himself on his systems thinking approach to problems and his desire for continued learning. Kathleen has more than 30 years of experience in the fields of radiation biology, environmental data review, radiation protection, and public communication. She has been involved in a wide range of activities dealing with risk evaluation for sites containing radioactive and hazardous chemicals, such as the Savannah River Site, Fernald, Rocky Flats, and Idaho National Laboratory. Kathleen is instrumental in developing exposure scenarios and screening methodologies for our projects. She is an inveterate educator and relishes sharing her knowledge and research activities with community and scientific groups. Shawn has worked with RAC for more than 15 years. She has a background in environmental health, with experience in occupational exposures to airborne chemicals and exposure analysis. She has an innate ability to take complex concepts and technical details and distill them into concise, effective graphics that enhance the usability of our reports and presentations. In addition, she helps keep the team organized and on schedule by assisting with project-management duties. President and CEO, ddms, inc.
Mark has more than 15 years of environmental, geologic, and hydrogeologic data analysis and management experience and more than 10 years of technical project coordination, management, and environmental litigation support experience. 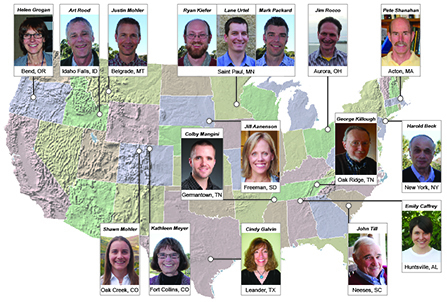 He has provided senior data coordination and oversight on over 60 Superfund and RCRA environmental sites and has worked with the resulting data and analysis associated with chlorinated solvent, sediment, dioxin/furan, radionuclide, and petroleum impacts both in the United States and internationally. Mark specializes in utilizing environmental data management system technologies and methodologies to efficiently store large amounts of complex data in a manner conducive for rapid retrieval, analysis, reporting, and 2D and 3D visualization. Mark also has extensive experience in integrating environmental data with custom web-based GIS and database-driven web applications. Jim has more than 35 years of experience in environmental risk management and risk-based decision-making, including corrective action, property transfer and redevelopment, structured decision making processes, environmental compliance, legislative and regulatory technical support, and emergency response. He specializes in environmental risk management including the development and use of geographic information systems and databases for data visualization and evaluation. Jim’s extensive knowledge, field experience, and dry sense of humor make him an invaluable resource. 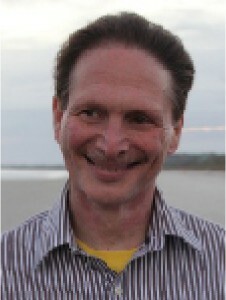 Arthur Rood has more than 25 years of experience in multimedia assessment of contaminants in the environment. His broad range of experience includes data collection and analysis, instrumentation, multimedia contaminant transport modeling, and dose and risk assessment. Art enjoys developing state-of-the-art models — whether atmospheric, groundwater, terrestrial, or aquatic — to address specific issues with an appropriate level of complexity. Art has taught Environmental Modeling for the University of Idaho and is co-author of the terrestrial transport chapter in the textbook, Radiological Assessment and Environmental Analysis, published by Oxford University Press. Pete is a civil engineer experienced in water quality, hydrology, hydraulics, and water resources. He specializes in the application of computer modeling and mathematical analysis to these disciplines. He has more than 25 years of experience in environmental engineering and consulting and is a registered Professional Engineer in Massachusetts and other states. Pete is also a senior lecturer at the Massachusetts Institute of Technology, where he teaches undergraduate and graduate courses. Lane has more than 10 years of experience developing web-applications, Geographic Information Systems (GIS) web-applications, and administering GIS infrastructure and databases. His specialties include integrating GIS and other non-spatial data to enable spatial analyses on different data sets, user-friendly GIS web application development, and administration of GIS software and web-services. Lane’s recent development has focused on creating web-components and web-applications focusing on data management and display, as well as the overall user experience.